ASUS just announced the new Zenbo Junior at the ASUS Incredible Intelligence event held in Kuala Lumpur today. Before you get too excited with the kinds of applications that can be built using the robot, let’s take look at the core specifications and differences of Zenbo Junior when compared to the original Zenbo. There were rumours that ASUS has decided to ditch the Intel chipset on the original Zenbo, and went ahead with a more power efficient, updated and advanced Snapdragon 845 chipset. However, we debunked the myth, as the ASUS representative at the event told us that the Zenbo Junior still uses an Intel Cherry Trail processor. It was also apparent that ASUS was reluctant to tell the media about the core specifications of the robot, as there were no mention of the chipset than powers Zenbo Junior. Interestingly, Zenbo Junior is exactly half the size of the original Zenbo. Its dimensions show that it has half its height, width and length! Sadly, even though it has been two years since the initial launch of the original Zenbo, there were no upgrades to the chipset and processor. Also, Zenbo Junior only comes with a typical 2D camera, unlike the original Zenbo which comes with a depth sensing capable 3D camera. Developers who wish to work on the Zenbo Junior will now receive much better developer support. 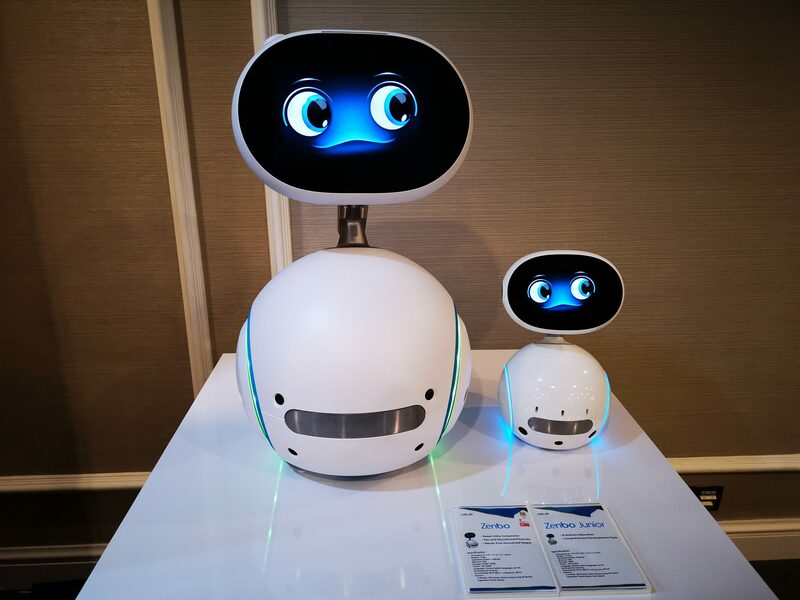 Based on the current stage, the Zenbo Junior already has its Vision, Speech, Movement and IoT SDK in place.